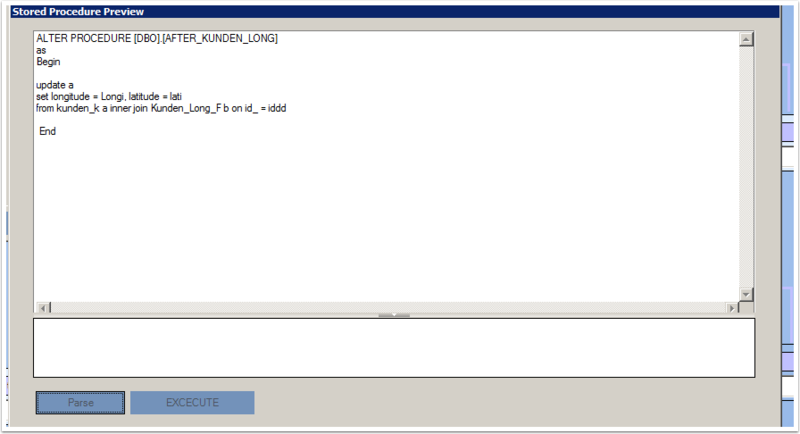 First select your customer master file, in this case it is the table “Kunden_K”. 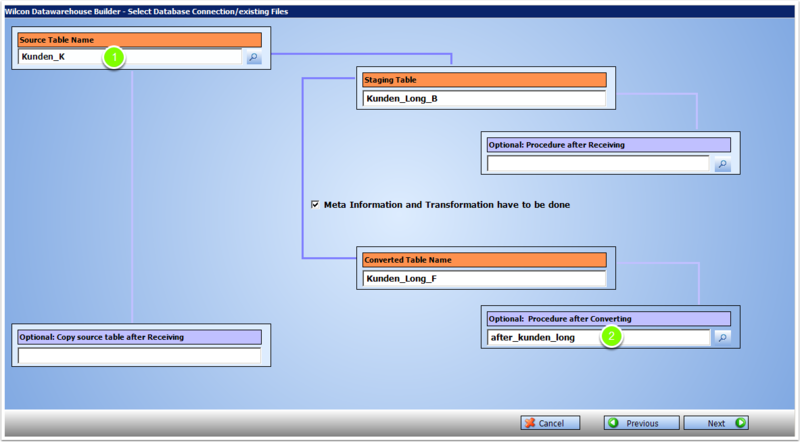 Also add a stored procedure which will run after the data conversion. Select the Fields you really need to add the Latitude-Longitude Information only and choose them for the Conversion. It is a good idea to filter the Source Data to get the records which still do not have a Geocoding Information. Select – if possible – Country, ZIP, City and Streetname for the use of the Geocoding Module. And create names for the Longitude and Latitude columns. The Stored Procedure which will run at the end of the Conversion updates the Customer Master Table with the Geo Information from the DWH Builder. That’s it!